Now that Apple provides OS X updates for free, the uptake for new versions is rapid. 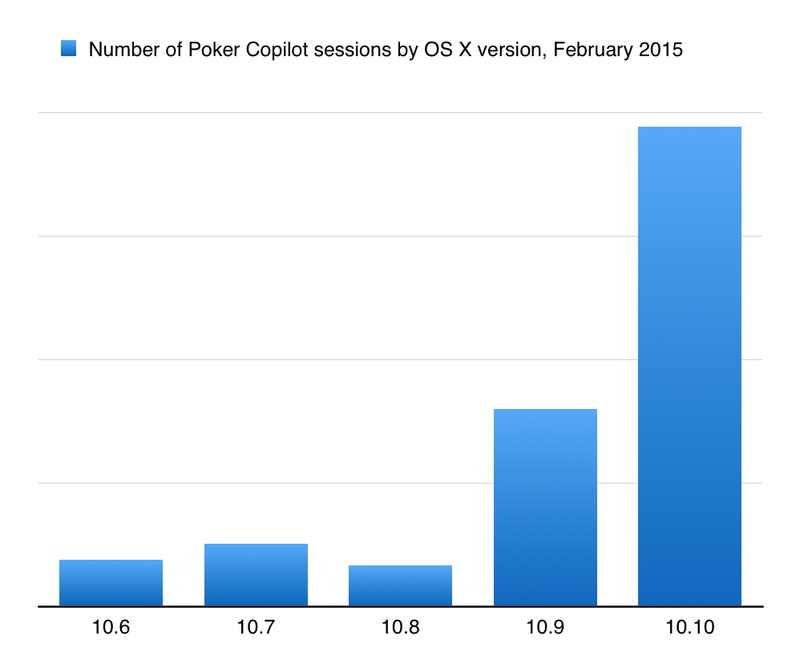 Here's the current usage of Poker Copilot by OS X version. 10.6, 10.7, and 10.8 are almost insignificant.